Anton’s Holzinger, master cheese maker at Kaserei Zurwies, began making cheese at 15, when he enrolled in the dairy school in Zurwies, in the middle Allgäu region of southern Germany. 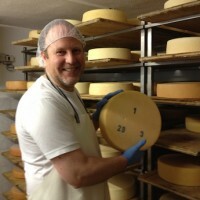 Twenty five years later, after years of cheese making experience, he and a Richard Kurzweil took over the dairy at Käserei Zurwies. 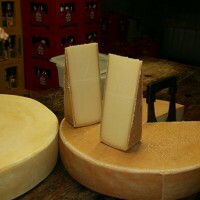 They had visions of making small format cheeses made from local, silage free milk. Today the dairy uses 6500 liters of cow milk per day from 22 farmers located within 5K of the dairy. Each small farm has between 10 – 12 cows, with an average of 90% Braunvieh and 10% Holstein.